Travis Scott flew high alongside rap titan Kendrick Lamar with "goosebumps," which recently earned Platinum certification. Now, the rapper has unleashed a video for the Birds in the Trap Sing McKnight cut. 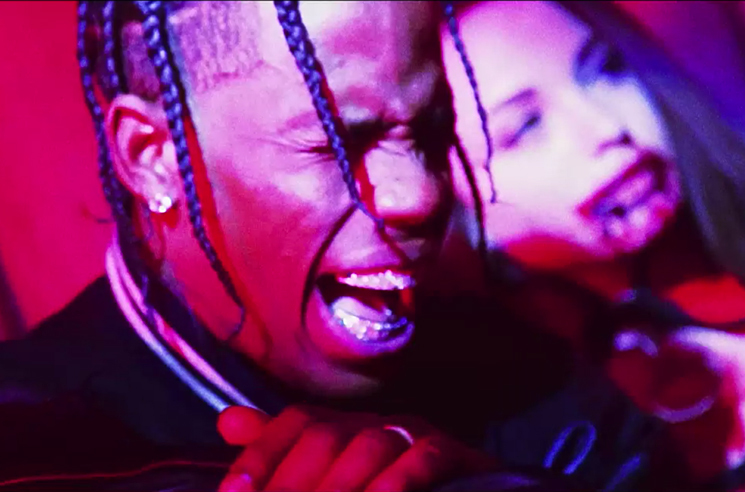 Highlighted by some wild edits and liberal use of colour, the BRTHR-directed clip finds Travis and Kendrick delivering their verses amidst pole dancers and flaming skulls. And that's only just the start of it, as the video descends into a barrage of tripped-out imagery. Watch the video for "goosebumps" here on Apple Music.